Hepatitis is a problem related to the liver, where Hepato means liver and titis means swelling. So whenever there is swelling, inflammation related to the liver it is called hepatitis. There are many kinds of hepatitis. Its reason may vary. It can occur due to viruses, toxins, synthetic drugs and due to other reasons. WHAT ARE THE SYMPTOMS OF THE HEPATITIS? So before telling about its symptoms, firstly I want to explain its types. 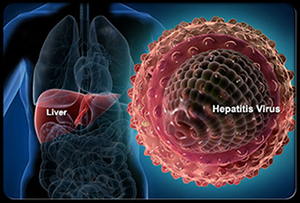 Hepatitis generally refers to various swelling and inflammation of the liver called the virus. The various types of hepatitis are A, B, C, D, E. Hepatitis F and G are newly discovered genotype. In these, hepatitis A is quite common and it spread like an epidemic. The main cause of its spreads is unhygienic conditions like unhygienic foods, drinks and insanitary conditions. Main mode of transmission of this infection is flies and feces. It mostly occurs in third world countries. Hepatitis E and F are also similar to the hepatitis A. These are relatively easy to cure with herbs like Bhumi Amalaki, Kalmegh, bhringraj, Kutki. All these herbs help a lot to recover the hepatitis A. Now talk upon other hepatitis types. Hepatitis B and C are very serious conditions. They are difficult to cure. But in Ayurveda, however, the response of the treatment is very good. Whenever we have given treatment, we got good results. In Ayurveda, we correlate it with KAMALA. Kamala is correlated with hepatitis or liver cirrhosis. All types of hepatitis if not treated leads to liver cirrhosis. IS LIVER CIRRHOSIS MORE DANGEROUS THAN HEPATITIS? Liver cirrhosis is the end stage of hepatitis or whenever there is too much load on the liver and swelling is not controlled that leads to Liver Failure. HOW ONE CAN COME TO KNOW THAT HE IS HAVING SYMPTOMS OF HEPATITIS? As I was talking about KAMALA, it has types like HALIMAK, PANAKI, and KUMBH-Kamala. In kumbh kamala, there is retention of water, which is ascites; in halimak, there will be fever association and in panaki, there will be diarrhea association. So Ayurvedic herbs are providing excellent results in these problems. Now let's talk over the signs and symptoms. Initially, there is fatigue, then jaundice occur, the skin becomes pale, urine becomes dark and stool becomes of clay color as it loses pigments. There are some lab tests (Like Australia antigen test, serum bilirubin) which confirm hepatitis. 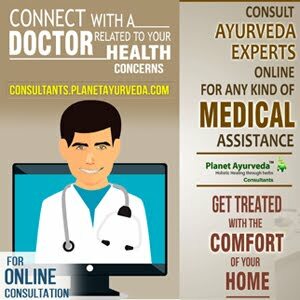 CAN HEPATITIS BE CURED WITH AYURVEDIC MEDICINES? Yes, people are responding very well with Ayurvedic medicines, especially for Hept. Hepatitis A and D respond within few days. Hept. C and B are very chronic and are complicated ones and spread by contaminated syringes, sexually and with contaminated blood. Here our medicines like Bhumiamalaki, Kutki, Punarnava, bhringraj. Basically, these herbs cleanse the liver and remove the toxins from it like to cleanse; liver Kutki is the best herb. It is one of the best herbs to cure liver ailments and remove its toxins and neutralize the acid. This is how we treat it and other medicine makes the body system strong enough to remove toxins very fast. Even synthetic drugs and alcohol is also one of its causes. ARE PEOPLE WHO USING MORE ALCOHOL, THEY CAN SUFFER FROM THIS PROBLEM? Yes, it will cause inflammation in the liver and will make it fatty and at last will lead to hepatitis. So, one should avoid alcohol. WHAT CAN BE A LIFESTYLE? Alcohol should be totally avoided; protein intake to be limited, more synthetic drugs should be avoided. Constant intake of junk and frozen food is harmful as they have many preservatives which can harm liver and its functionality. THINGS, WHICH ONE CAN USE IN SUCH CONDITIONS? Yes, there are many Ayurvedic preparations. There many herbs, especially, Yakrit plihanatak Churna is there. Combination of drugs such as Punarnava Mandoor, Liver Detox Capsules, Arogyavardhani Vati are used in liver disorders. Also using Kalmeghnavayasaloh classical drug. Also using bhasma preparation like: muktapisthi, Prawalpisthi, Prawal panch amrit, kamdhudha rasa, akikpisthi, to balance the pitta. In liver disorders, pitta virechana is the principal treatment which means to remove excess toxins and pitta from body and liver and to restore the fire elements. Kutki is very good herb for this. It is used in Yakrit plihanatak Churna and also in Arogyavardhani vati. The Principal is to clear pitta, which you can correlate with bilirubin or bile and helps the liver to perform well. ARE THESE HERBS EASILY AVAILABLE? Yes, these are. They are helping a lot in hepatitis and liver cirrhosis, especially, alcoholic liver cirrhosis. It has all herbs almost which are helpful in liver disorders like Punarnava, Kalmegh, Kasni. It is a detoxifying herb which makes all cells new and helps in removing toxins. With all other herbs mentioned. HERBS LIKE BHUMIAMALAKI AND PUNARNAVA ARE EASILY AVAILABLE? Yes, these herbs are very easily available. Bhumiamalkai is a small plant. And is easily available. Here see we have found one. Bhumiamalaki it is. It very good in liver disorders and its whole plant is very use full. You can have it as it is. It's not that bitter and very healthy for the body.